Jamie works on a variety of different schemes including large strategic greenfield developments and complex brownfield developments. He seeks to build relationships with officers and deliver collaborative solutions to technical and practical issues. 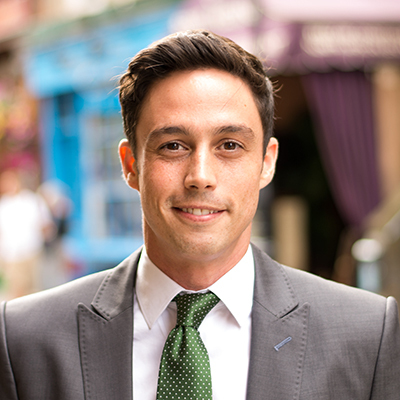 Jamie also advises a significant number of clients when acquiring sites and prides himself on delivering a highly commercial insight in to the relevant planning constraints and opportunities. During his career he has also developed a number of specialisms including; older person care and accommodation; education; and Community Infrastructure Levy. He also has significant experience on key research topics, with clients such as the National Housing Federation and Policy Exchange. This combination of project managing the planning process for a range of clients and analysing national policy issues led to him being seconded to work for HM Treasury in 2015 as a Planning Policy Advisor. He provided advice on key reforms such as Starter Homes, revising the NPPF and streamlining the CPO process. Jamie started his career at Northamptonshire County Council working as a Development Control Officer in 2004. He moved into the private sector in 2007 and during that time has worked on a wide range of different residential and mixed use schemes, from inner city regeneration projects to strategic urban extensions. In addition to this, he has gained substantial experience in planning policy and was involved in numerous Local Plan and Core Strategy examinations. Outside of work, Jamie is happiest scuba diving somewhere tropical. When budget and holiday constraints don’t allow for this, he will settle for exploring London’s array of watering holes (with or without wet suit).